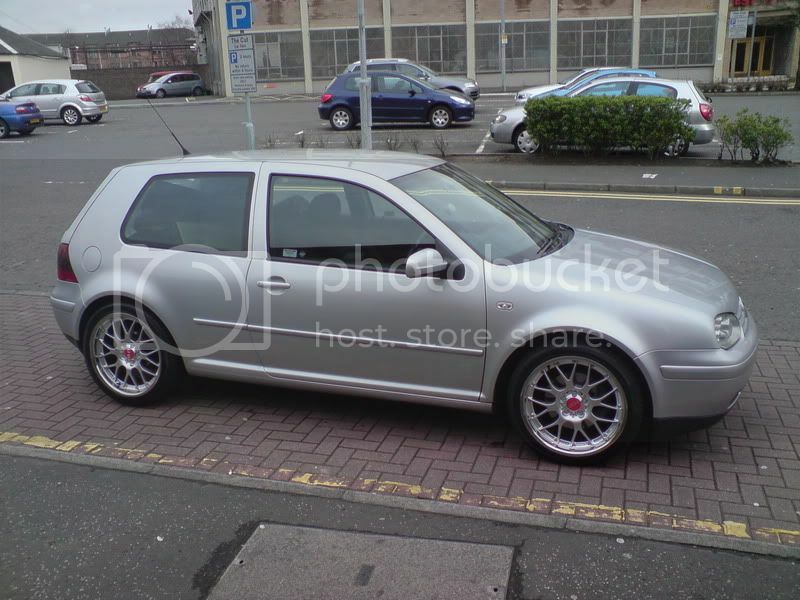 Well, here's a wee pic of my car as it looks just now, its a 1.8t Gti, but I'm thinking about going for a BMW 530D next. But we shall see. Funds permitting. Yeah, only reason I didn't go for anniversary wheels was because I wanted a dish on mine! Just to be a little bit different, Theres a Silver anni parks a bit away from me, and I think mine look better. Will try get a pic next time its there. Now going up for sale! I'm going to get some good pics before it goes. So I will update here!